*** Welcome to the highly sought out neighbourhood of Linden Woods. 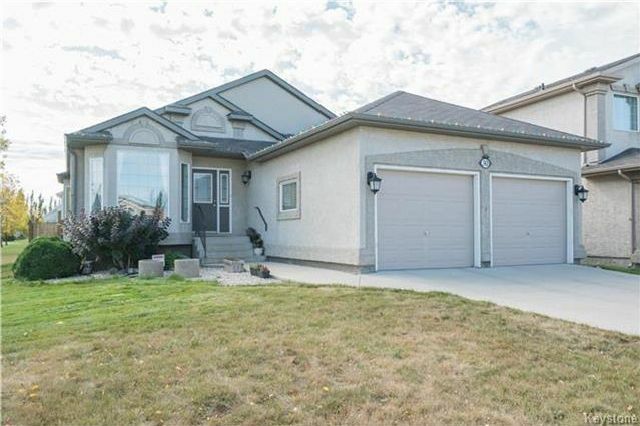 This 1582 square foot bungalow built in 2003 has 3 bedrooms and 2 bathrooms on the main floor. The home features a stylish open concept design with vaulted ceiling throughout, a built in speaker system, all triple pane windows (and there are loads of them - the natural light in this house is phenomenal! ), a formal dining room, main floor laundry, a large 22x24 attached double garage, a 12x12 shed, a large deck in the SOUTH facing yard and so much more. The lower level of this home is ready for your design ideas, come and make it your own. Located on the edge of a quiet cul-de-sac it’s close to transit, schools, and all of the shopping in the Kenaston Commons area. Call your realtor to book your private showing today!